Soucy, Danielle | Ranger's Cremation and Burial Services Ltd. It is with broken hearts that we announce the unexpected passing of Danielle on Monday, December 24, 2018, at the age of 31. Our beautiful, amazing, caring angel passed away in the loving arms of her father Fern, mother Dianne (Kirkbride) and brother Eric (Tyler Hoddinott). She was hugged and kissed by Grandmama Adelina Soucy, Grandpa Myles Kirkbride (Carol), and numerous aunts, uncles, cousins, friends, and colleagues. She will be met at Heaven’s gate by Grandpa Bertrand Soucy, Grandma Yvette Kirkbride, and Dawson. Danielle had a passion for horses, fishing, camping, snowboarding, crafting and reading. Christmas was always her favourite holiday spent with family. On Christmas Eve, Danielle’s wishes were honoured through the Trillium Gift of Life Network, as an organ donor. In keeping with her request, a Celebration of Danielle’s Life will be held at a later date (location T.B.D. ), where relatives and friends can gather to share memories and stories. 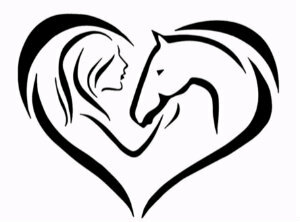 In lieu of flowers, donations may be made directly to The Sudbury Therapeutic Riding Program (cheque only), P.O. Box 2212 Station A; Sudbury, Ontario; P3A 4S1 would be appreciated. Our heartfelt condolences to Fern, Dianne and Eric as well as the Soucy and Kirkbride families. Although we have drifted apart over the years we have fond memories of the time spent with Danielle as a child. We wish you the strenght to cope with this devastating loss. Danielle will be remembered coming to the aid of others until her last moment. Forever in our thoughts. Bless all of you and Danielle. Fern, Dianne and family, we would like to express our deepest condolences. We had the pleasure of meeting your daughter at Rangerbay and she was so kind and you can see that she loved her family deeply. Our prayers are with you. Big hugs. I was devastated to hear that Danielle had passed. I was lucky to be friends with Danielle and went to high school with her. She was a beautiful soul and a kind person, My deepest sympathies for your loss. Fern, Dianne, Eric and family…sincerest condolences. This was such a terrible tragedy. Words cannot express how sorry we are this happened. I am so devastated to hear about the loss of Danielle. She was a wonderful, funny, kind person and she will be terribly missed by those who were lucky enough to know her. Sending all of our love to the Soucy and Kirkbride families during this time of unimaginable loss. May you R.I.P Danielle I did not have the pleasure of meeting you but my Niece Jessica Richer told me all about you and her heart is broken of your passing ……God needs you with him to watch upond others ,to give a gift of life to someone so they can live….You will be remembered by your family and friends.Until we meet someday ..